If you're driving through Phoenix on Interstates 10, 15, or 40, you might like to catch some feel for the area by turning on some local radio. Plus you can catch some news and sports as you cruise along the road. (That DJ chat is a nice benefit, too.) But which station plays the soundtrack of your life? 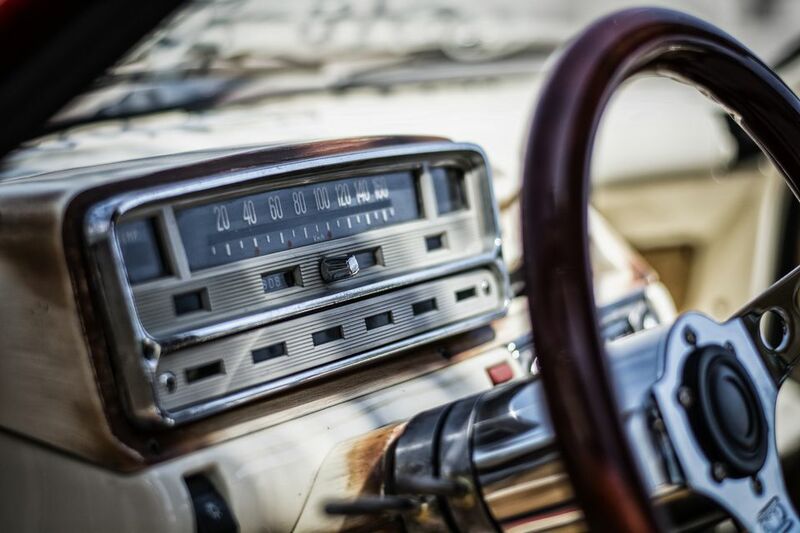 Check out this listing to find the stations to program on your car radio in the Phoenix area. These stations are listed in numerical order by station or dial number. KLOVE plays Christian contemporary in Phoenix. If you like classical music, turn your dial to KBAQ, from Arizona PBS at Arizona State University in Tempe. If you are looking for religion, spirituality, and family content, move the dial to 90.3 in Phoenix. If you've got to have NPR in your life and can't miss "Morning Edition" or "All Things Considered," Phoenix has you covered at 91.5, which is a service of Rio Salado and Maricopa Community colleges. Continue to 5 of 32 below. For news and talk, turn to KTAR in Phoenix. If you're of a certain age and groove to oldies, KAZG is a good option. For 100 percent alternative rock, 24 hours a day, move the dial to 93.3 in the Phoenix metro. KWSS is another good choice for alternative rock. Continue to 9 of 32 below. KRDE is proudly independently owned and it plays what it calls "country with personality." For more greatest hits and cool oldies, set your radio dial to 94.5 KOOL. KOAI plays all soft, adult contemporary music all the time. The Mountain's slogan says it all: "We Play Everything in Phoenix." Continue to 13 of 32 below. KSWG plays country music and broadcasts from Wickenburg, Arizona. KMXP's version of oldies is music from the '80s and '90s, along with current hits. If you like today's chart-toppers, KMVA is your station. It plays Top 40 hits. KUPD says it plays "Arizona's Real Rock." If you like active rock, you'll love this station. Continue to 17 of 32 below. KKFR plays urban contemporary music; it's "where hip-hop lives." For sports nuts, there's 98.7, which is an ESPN-affiliated station for the Arizona Cardinals, Arizona Diamondbacks, Phoenix Coyotes, Phoenix Suns, and Arizona State Sun Devils. It's simulcast on 98.7 FM and 620 AM. This is an adult contemporary station, and during the holidays, it plays continuous Christmas music beginning in mid-November. KQMR is all about Latino hits. Continue to 21 of 32 below. For classic rock lovers, you can't do better than KSLX. For rhythmic pop, dance, and urban contemporary, turn the dial to 101.5 KALV. KNAI plays regional Mexican music during the day. KNIX boasts that it has "today's best country." Continue to 25 of 32 below. For good old rock 'n' roll, you can't beat KCDX 103.1. KZON is another Top 40 station, with trending hits. If you like your oldies with an urban flair, you'll like KAJM. KISS is another choice if you like Top 40 hits. Christian contemporary is the musical focus of KVLA. KHOT broadcasts in Spanish and is part of Univision. KPPV plays adult contemporary hits. KMLE has a country music focus.